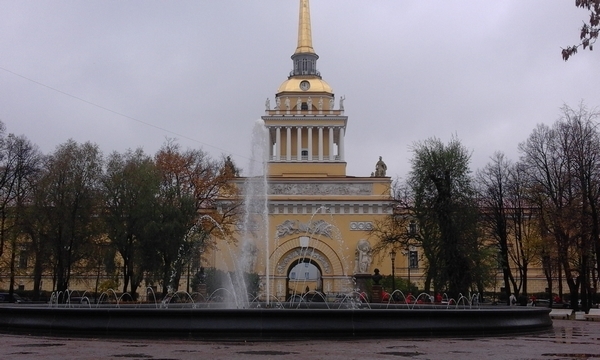 -Depends on where you are from,you may need to obtain a visa in advance,before you arrieve to Russia. However there are exceptions to this.If you arrive to a russian harbour by a ship,then upto 72 hours,you can hang out in Russia visa-free. -There are ships going to St. Petersburg Russia, from Tallinn / Estonia and from Helsinki / Finland.These are big cruise ships and its an overnight trip. There are rooms,restourants and bars inside the ship. 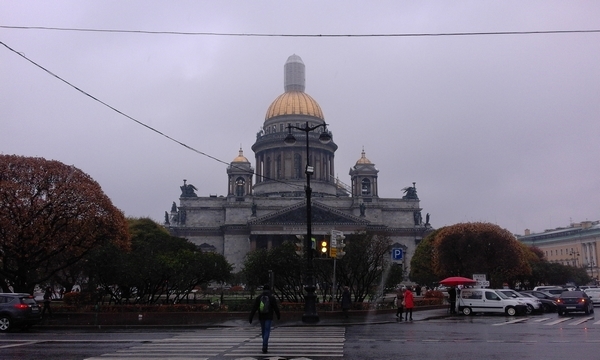 -If you happen to arrive St. Petersburg harbour,after passport check ,there are shuttle buses waiting outside of the harbour.It takes you to right in front of St. Isaac Cathedral. -You can visit the cathedral and get to the top of its roof and watch the view,if you dare to climb up endless stairs! -If you have little kids with you,it's not recommended to visit this part. 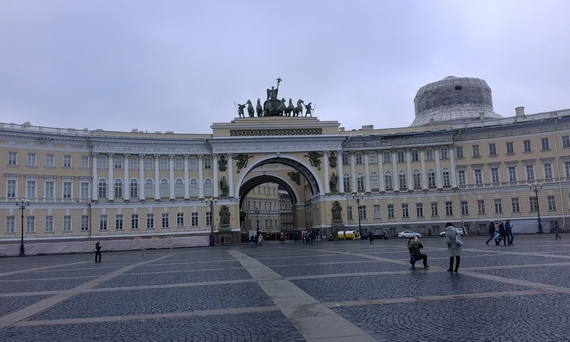 -After that you can continue walking and you will pass the admirality building .Soon you will be there at the one of the biggest museums in the world: Hermitage Palace! 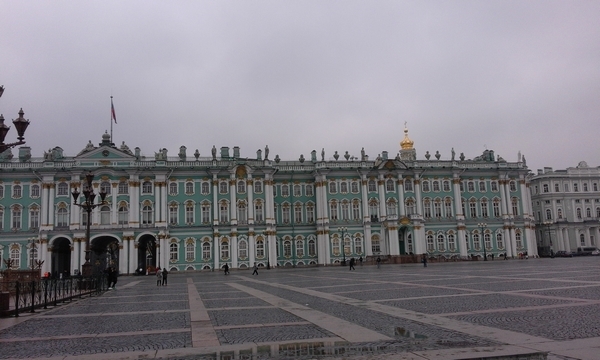 -Hermitage Palace is so big,it might require an entire day to see all the exhibitions and the artifacts. -It will definitely worth to visit there and the entrance fee is pretty cheap. 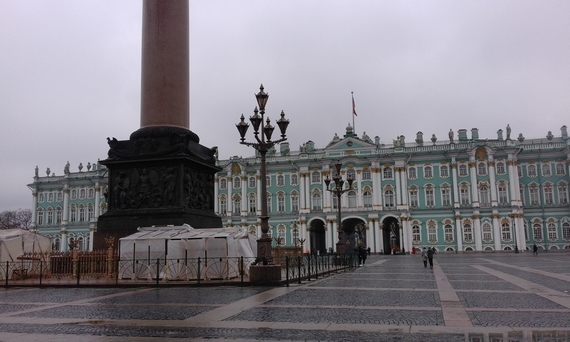 -If you will visit St. Petersburg just for a day,it would be wise to quickly check out Hermitage Palace (spend 1-2 hours there) and hit the road. 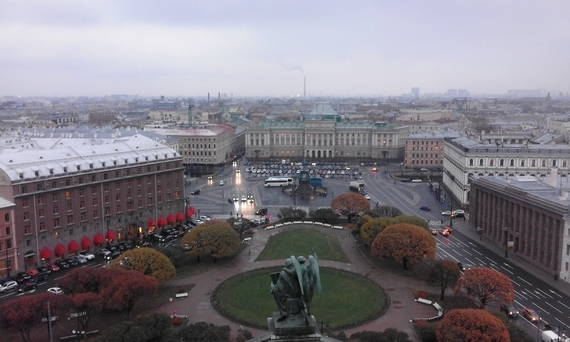 -When you leave the winter palace, if you go straignt you will end up in the Nevsky Avanue which is the biggest and busiest street of Petersburg. 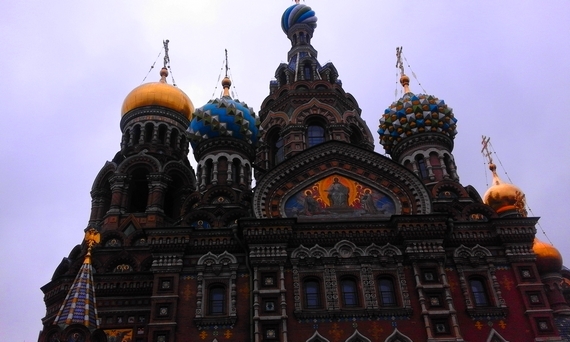 -There are 2 important attractions along the Nevsky Avanue ,one is Church of spilled blood (the one with colored small onion shape domes) and the other is Kazan Cathedral. -Nevsky Avenue is ideal for shopping and eating .There are all sorts of shops and restourants along the street.There are gift shops but most of the stuff is made in China. It's up to you ofcourse.